Chelsea striker Alvaro Morata is pushing for a move away from Stamford Bridge, with reports in Spain claiming that the striker's agent has offered him to Barcelona. 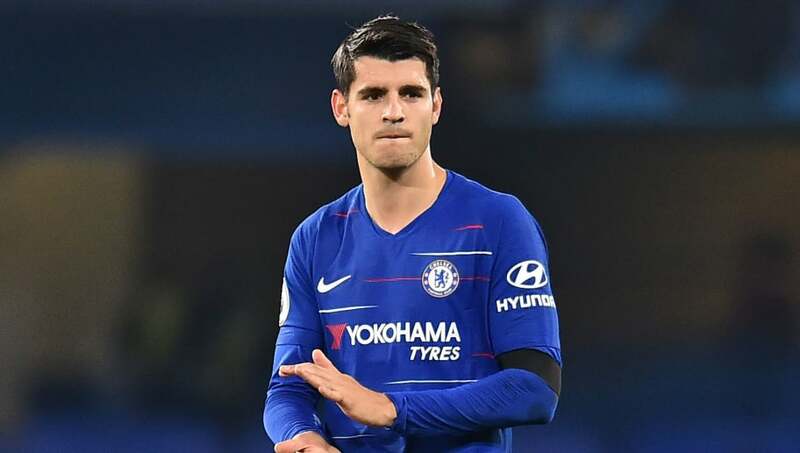 Despite Chelsea's improvement under Maurizio Sarri this season, Morata has been unable to find his shooting boots on a consistent basis, with five goals in 14 Premier League appearances since August. ​Barcelona-based outlet ​RAC1 has reported that ​Morata's agent has offered the Spaniard to Ernesto Valverde's side after meetings between the two parties to 'sound out the situation'. ​AS adds that Barcelona have viewed these talks in a 'positive light' and will now decide if and when negotiations will commence for Morata to join the club next summer. Morata joined Chelsea from Barca's hated rivals ​Real Madrid in 2017 and scored six goals in his first six Premier League appearances. However, he has been unable to rediscover that form, with just ten goals in his subsequent 39 league outings. It remains to be seen how Morata would fit in at the Camp Nou amid Barcelona's attacking riches which include ​Lionel Messi, ​Luis Suarez, Philippe Coutinho, Ousmane Dembele, Malcom and Munir El Haddadi. Although he has failed to take his goalscoring form into the Premier League, Morata was much more comfortable in La Liga, where he scored 31 goals in two spells at Real Madrid. In between those spells, he scored 27 goals in two seasons for ​Juventus, including the strike which knocked out Real Madrid in the 2014/15 Champions League - the last time Los Blancos were eliminated from the competition. Morata also has a decent strike rate at international level, with 13 goals in 27 appearances for Spain.